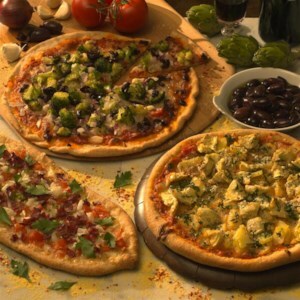 Find healthy, delicious pizza dough and crust recipes including Italian, gluten-free and whole wheat pizza dough. 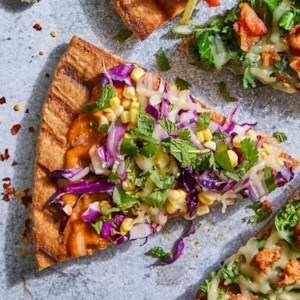 Go beyond just pizza with our healthy recipes with pizza dough. 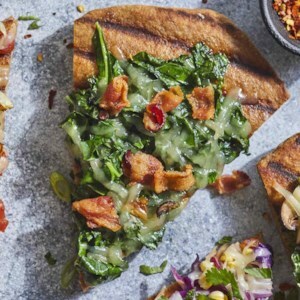 You won't believe how quick and easy it is to make this healthy pizza. Thanks to a two-ingredient dough that combines self-rising flour and Greek yogurt, there is no need for a rise time. Just roll, top and bake, and you'll have a delicious dinner on the table in under half an hour. Containing just two ingredients--self-rising flour and Greek yogurt--this healthy dough is a snap to make! It is exceptionally versatile; you can use it to make pizza and even bagels (see associated recipes). 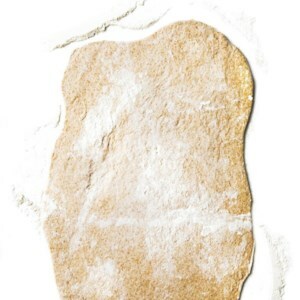 To make this dough whole-wheat or gluten-free, make your own self-rising flour by adding baking powder and salt to your favorite whole-wheat or gluten-free flour (see Tip). 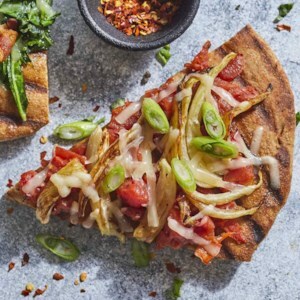 This healthy pizza crust is made with whole-wheat flour. Make and freeze a second batch to have on hand for last minute meals. 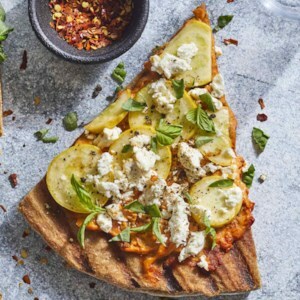 To improve the nutritional profile of pizza, use half whole-wheat and half all-purpose flour, which yields a light crust with a distinctive nutty taste. 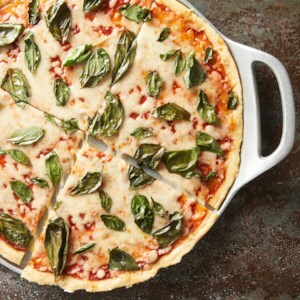 Quick-rising yeast shortens rising time to just 10 minutes, making homemade pizza a possibility for busy weeknights. 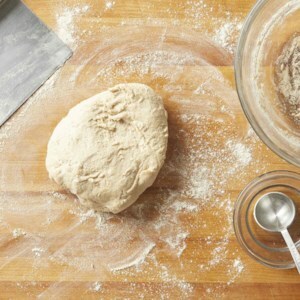 Use a food processor, stand mixer fitted with a paddle attachment or your hands to mix the dough. 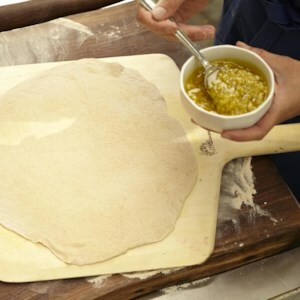 Add enough liquid to the dry ingredients to make a soft dough. 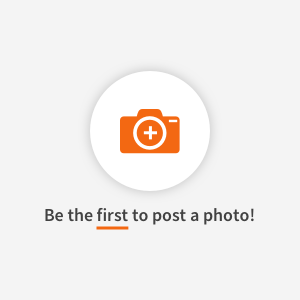 If kneading by hand, toss, rather than push, the dough onto the counter for about 10 minutes; this allows the gluten to develop without incorporating too much flour. Use this quick dough for one large pizza or four calzones. 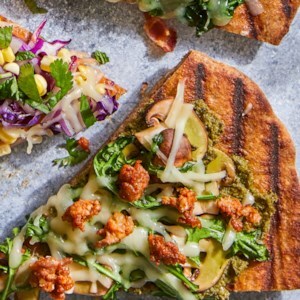 Here is a versatile foundation for healthful pizzas whose toppings can be as creative as your imagination and palate. A large-capacity food processor will cut down on kneading time. 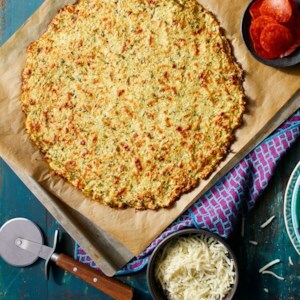 This master healthy whole-grain pizza dough recipe, which can be made in a food processor, is a breeze to roll. 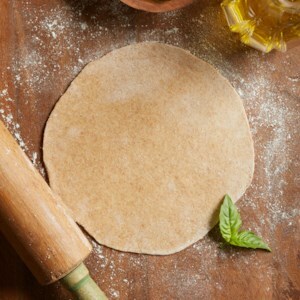 Using bread flour gives the pizza crust a crisp and sturdy structure, but all-purpose flour works well in its place.